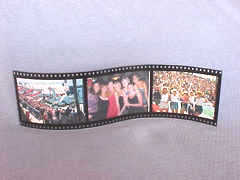 Thick Acrylic Three Photo Holder Film Strip Frame. 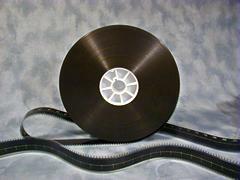 Measures Approximately 16" x 4 1/2." Each Section is 3 1/2" x 5." Unique Film Strip Photo Key Chain. Measures Approximately 2 1/2" x 3." Holds 2" x 3" Photo.